In my last entry, The Rockefeller Plan for the BRICS New World Order, in their own words, I laid out the Rockefeller Plan for the New World Order (NWO) as reflected in their official blueprint for it, a 1961 book titled Prospect for America. Given the reaction counters I saw for the article, I can tell that I need to explain things even further to reach certain people. So in this entry, I will continue to expose the globalist plot by pointing out how the Chinese government is assisting in the construction of the Rockefeller NWO. It should be well known to all by now that the mainstream media, as well as the bulk of the alternative media, are attempting to portray a geopolitical conflict featuring the Anglo-American bankers & NATO on one side and the BRICS bankers & militaries on the other. The brings forward an obvious question: if China and their BRICS allies are really acting in opposition to the Western Establishment, why are they pointing to the Western globalist institutions as the solution to the world’s ills? 1) The United Nations (UN) – According to the Rockefellers’ Prospect for America blueprint for world government, the United Nations is the international body that will exercise authority over regional groupings of the world’s nations. The institution itself was founded at the behest of the Western central banking families, and it was such a pet project of the Rockefellers that they decided where and how it would be built and provided the land on which it now stands. Don’t you find it interesting that the location of the United Nations Headquarters was decided by an internal discussion amongst John D. Rockefeller Jr. and his sons? 3) The International Monetary Fund (IMF) – The IMF was also a creation of the United Nations Monetary and Financial Conference of 1944. 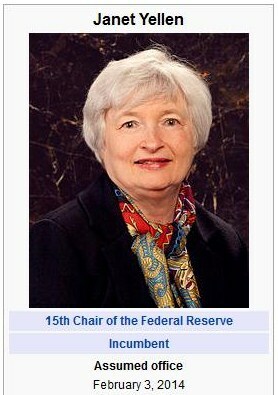 And like the World Bank Group, the IMF is a Specialized Agency of the United Nations. 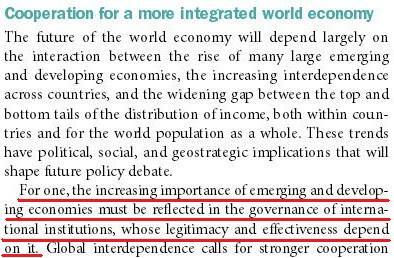 So basically, the UN, WB and IMF are part of one giant globalist complex put in place by the Rockefellers and their affiliated global bankster families. Among the banking clans, the Rockefellers had a very prominent role in the creation of the global government because they were the family whose base nation (the US) emerged from World War 2 with the most wealth and power. The Rockefellers had the biggest tool at their disposal (America), so they wore that tool down to the nub to build the NWO. And this globalist complex is what the Chinese offer as the solution to the world’s problems (which also were created by the bankster families)? 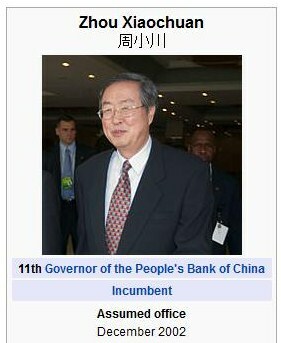 With an overview of the globalist complex in place, let’s have a look at more of what the Chinese have been saying. 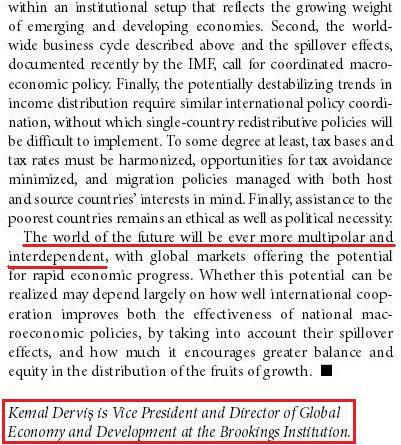 His recommendation for the gradual replacement of existing national reserve currencies with the IMF’s Special Drawing Right (SDR) is the same thing the Western banksters have been calling for since the SDR’s creation (see Mainstream globalist propaganda reveals East/West conflict is a farce). Zhou’s speech is such a classic example of the problem / reaction / solution strategy that I recommend reading it in its entirety. If you find such speeches too dry and difficult to understand, though, I’ll provide an explanation of the key passages from the speech in Update 1 at the bottom of this article. Governance changes will turn evil globalist institutions into good? This sounds an awful lot like what Zhou is saying, doesn’t it? Given all we’ve seen in this entry and the last, which narrative do you find more likely to be true? 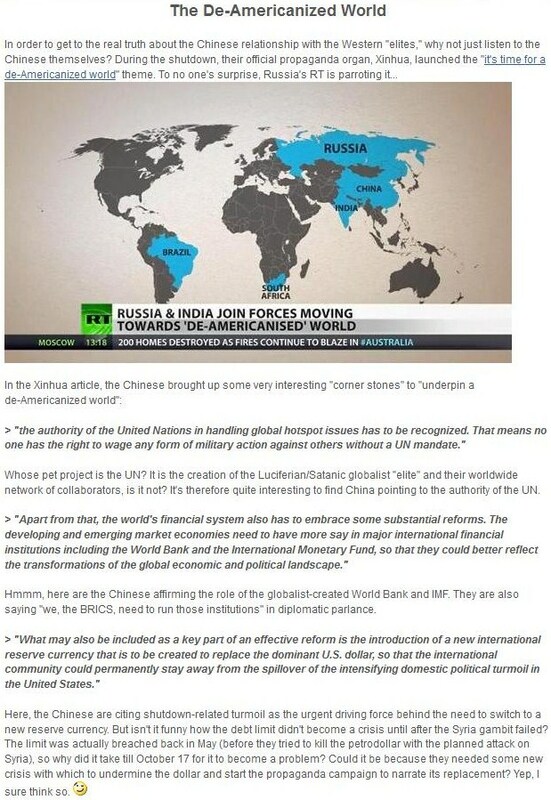 1) That the BRICS Alliance is real, and they’re seizing the globalist institutions from the hands of the “Anglo-American Banking Cabal” in order to stop the NWO? 2) That the BRICS Alliance is a public relations construct, and within the Worldwide Central Banking Cabal, they’re playing the role of the “solution bringers” who save the day from the “problem creators” in order to garner public acceptance of the NWO? 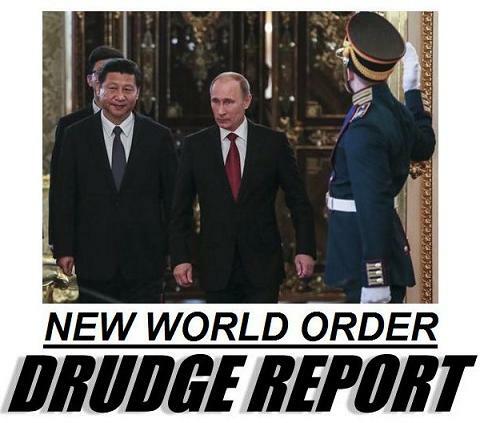 But to help you make a more informed decision, my next entry will be on Russia’s complicity with the Rockefeller NWO. This entry was posted in Globalist Disinfo, NWO on November 13, 2014 by kenneth.